BRBNMPL Recruitment 2016: Bharatiya Reserve Bank Note Mudran Private Limited, Karnataka has been invited the application form from the post of Industrial Workman Grade I. There are nearly 120 vacancies. The candidates who are looking for the latest govt jobs in Karnataka can apply the BRBNMPL Recruitment Industrial Workman Grade I recruitment 2016. The applicants who are going to apply the application before refer the BRBNMPL notification 2016. The candidates who fulfill the eligibility criteria can apply the online application for the BRBNMPL vacancy 2016. This is one of the excellent opportunity for the aspirants. So the candidates can utilize the BRBNMPL jobs 2016. The applicants must bookmark our Indrajobinfo.co.in site for latest job updates. The candidates can access the given link to apply the BRBNMPL Workman Trainee recruitment 2016. The candidates can apply the BRBNMPL application form 2016 on or before 18th July 2016. The Bharatiya Reserve Bank Note Mudran Private Limited has been conducted the exam to hire the eligible candidates for the required vacancies. 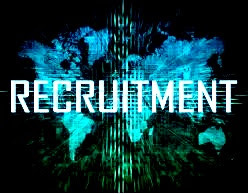 This year also many of the applicants are going to apply the BRBNMPL recruitment 2016. Further information like age limit, educational qualification, how to apply, selection process, application fee and other details provide here. Read this article to get the complete details about the BRBNMPL exam date 2016. Organization Name: Bharatiya Reserve Bank Note Mudran Private Limited (BRBNMPL). Job Role: Industrial Workman Grade-1/Trainee. Number of Post: 120 post. Category Name: BRBNMPL Online Application Form 2016. The applicants who have complete the Diploma in Printing with at least 55% and 50% SC/ST from a recognized university/institute can eligible to apply the BRBNMPL vacancy 2016. The candidates age limit not less than 18 years and not more than 28 years. The age limit will be applicable for the reserved applicants as per the government norms. For more details check on the BRBNMPL recruitment notification 2016. The selection of the aspirants will be based on the following rounds. The shortlisted candidates will getting the monthly salary. Rs. 7000/- to Rs. 24,240/- + grade pay Rs. 2,280/-. Visit the official site brbnmpl.co.in by using given link. Save the application and further use. End date of application submission: 18.07.2016. BRBNMPL Exam Date 2016: 06.08.2016. BRBNMPL Recruitment Apply Online 2016.